I used to have a book review blog. Well, technically I still have it, but the effort of writing a review for every book I read got to be very, very tedious, because I read a lot. Like, a lot. In 2012 I read 80 books; the year before, in 2011, I read 75. So yeah. When I say a lot, I really mean it. But I still like keeping track of what I’ve read over the course of a year. I do it on Goodreads (click the link to go to my profile), but it’s nice having more detailed written out for others who enjoy reading. My point is: from time to time I’m going to jump in the muddled mess of this blog and share with you what I’m reading. Here’s our first go around with what I’ve read this year. 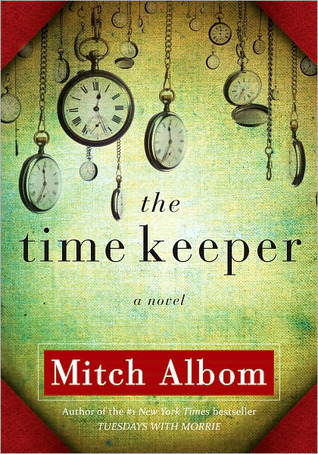 I got The Time Keeper by Mitch Albom as a gift from Santa in my stocking this year. My mom, who’s read the book before and is a very quick reader, thought I’d enjoy it because it was a book to make you think as well as a very quick read. It was a very quick read — I read it in a day or two. It was my first read of this year and while it’s not even close to one of my favorites, it does make you stop and think as you’re reading — I thought about my whole concept of time and how I use the time I have, and how sometimes I wish it away and want for more of it later. This is the story of Father Time and how the whole concept of time came into being (for the record, in case you’re interested in read this, this book is fiction). 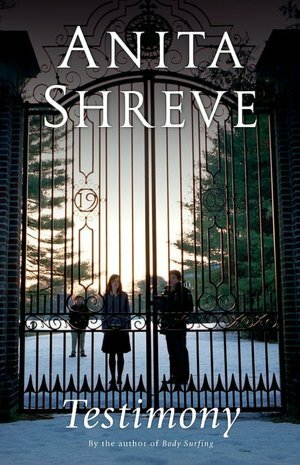 I’ve never read any of Albom’s other books like Tuesdays with Morrie or Five People You Meet in Heaven, and while I wouldn’t spend my own money on them, I would definitely check them out from the library to take a look at them. 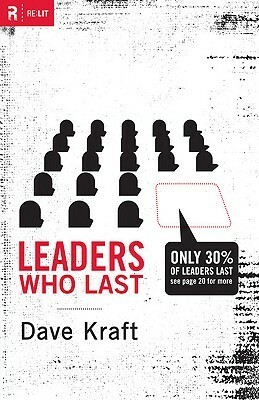 Leaders Who Last by Dave Kraft was assigned to me as reading for the School of Ministry program I am part of at my church. I have really enjoyed the previous books on Christian leadership we’ve read, but I have to be upfront in stating that I really hated this book. Maybe hate is a strong word. I’ll say I very much did not like it. First of all, its preface was written by Mark Driscoll, a pastor and an author of some books that make me feel gross because of some of the stuff he writes. (Don’t want to get into that here. That is why google is your friend.) Anyhow, Leaders Who Last touch upon some important aspects of leadership, but for such a complicated subject, I feel like the hundred+ pages this book spans is not nearly enough space to get into something as nuanced and complicated as attrition in leadership. It’s a very topical book that doesn’t reference the Bible as much as I’d like to see in a book that focuses on Christan leadership. There are a lot of real-world stories told, which is fine and all, but it’s missing the backbone of Scripture that I like reading in books like these. My friend Megan really likes Kate Morton’s books so when she loaned my roommate several of them, I decided to help myself. 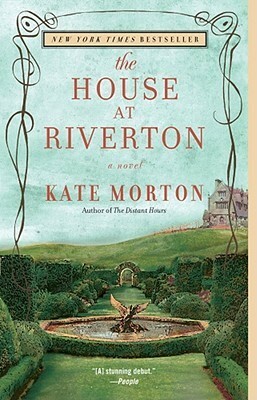 The House at Riverton is the first Kate Morton novel I’ve read and while much of the plot seemed somewhat fluffy and predictable (there were certain this I pegged very early on), I actually enjoyed this book and looked forward to reading it every time I picked it up. It’s the story of two sisters and their housemaid, Grace, and a young man who commits suicide at a garden party long after the girls first meet him. I feel like from that short description alone you could deduce some of what happens, but honestly, this was a good read that wasn’t too beachy/fluffy/romance but wasn’t too heavy/dark/pretentious and dull. I enjoyed the characters, although I wish some of them, such as Grace (the housemaid) had been fleshed out more. I am starting my second Morton book today because I’ve heard her later books are even better than this one. This is the first book I’ve read this year that I would highly recommend. The Forgotten Garden by Kate Morton. That’s it! I’m trying hard to only read a book or two at a time this year. I love, love, love Kate Morton (I’ve read a few of her books and reviewed them http://www.thebookwheelblog.com/?s=kate+morton&x=0&y=0 – but so far The Forgotten Garden has been my favorite. I also liked Lucinda Riley’s The Orchid House, which is very Kate Morton-ish. Enjoy! Wow, girl, 75-80 books a year? That laps me by… well, a lot. :) (I’m a slooooow reader). I’m intrigued by the book by Mitch Albom. I’ve never read anything by him but I like the idea of a fictional book on the concept of time and how we use it (something I know I don’t do so well). Going to have to check it out! Yep! I started keeping track my junior year of college and hit the low to mid 40s for three years, but that was all while working and studying full time for my BA and then my masters degree! I’m not a fast reader, but I literally always have a book with me and will read for five minutes here, five minutes there. Post office lines, grocery store lines, doctor’s office… you name it, I’m reading! I’d love to hear your thoughts on the Albom book. It was thought-provoking (with a little cheese factor) to me.